Insured, State of Illinois License #051-019032. All technicians licensed, drug tested and background checked. Garella Pest Services is a company that specializes in protecting homes and commercial properties from unwanted critters. Since 1945, our third generation, family-owned business has set high standards so that all our clients remain pest-free. We proudly assist southern & central areas in Illinois and are dedicated to providing the best services possible. No problem is too large or too small for us to handle. Although we are capable of dealing with big businesses, we also enjoy serving regular homes. We treat all clients like family and know them by name. Friendliness should be expected, and we deliver. We are always up-front with our prices and never charge hidden fees after jobs are completed. We make it a priority to try and work around your schedule and always arrive on-time. Prompt, courteous and friendly service on the phone and with the employee that did the treatment. I just started using this service. I appreciate that the tech showed up when scheduled. I’m very happy with my service. Keep up the good work at Grafton Market !!! Always do a great job of keeping the critters away! If I have a problem between visits, they come right out! They do great work. They are very friendly and honest people to work with. They take the time to explain every thing to you and. We have found Garella to be very reliable. They answer all of our questions about our particular needs. They are very conscientious about our pets. 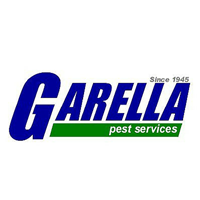 We highly recommend Garella Pest Services. New to service, but so far so good! Technician did a great job addressing our needs. Very responsive to our many requests and Regina is a pleasure to work with. So far the experience has been positive . Tyler was great and will be following up in the next week or two . Jim ,did great. He knew where to look to see if we had a problem. We would like to have him again next year. Joe & Sharon Borgini. We are very happy with Garella Pest Services. They are always willing to work around our difficult schedules and promptly respond to our numerous requests! My representative Tyler did great work! GOOD JOB BY YOUR STAFF. Quick appointment response. Showed up at promised appointment time. No complaints. Easy to work with and very friendly. I was comfortable with both the office staff and the technician who came out to my home. I will recommend to my friends. Quick to come out. Very friendly! Rep was great ro work with. Best of all the ants are gone!! The young man who was here was very friendly and seems to do a good job. We are very fond of our service technician! Great guy! Very pofessional and friendly! Top service! Issues quickly resolved. Never a problem. Have been using Garella for over 10 years and service is best in class. Both the company representative and the service gentleman contacted me and explained the quarterly service/application plan I signed up for. I now understand if I have any more pests bother me I should contact the company IMMEDIATELY. Garella does a good job in eliminating insects. We haven't had too many problems lately. They are courteous and helpful with each trip. Thank you so much for keeping me insect free! Garella employees are always polite and courteous. They have kept my home termite free for several years and I pan on using them for as long as I own a home. They do a great job and I would recommend their services to anyone. Thanks, guys! We are happy! No mice that makes us happy!